Baker is one of four Knicks who become free agents, although the other three — point guard Derrick Rose, small forward Justin Holiday and guard Sasha Vujacic — are all unrestricted. 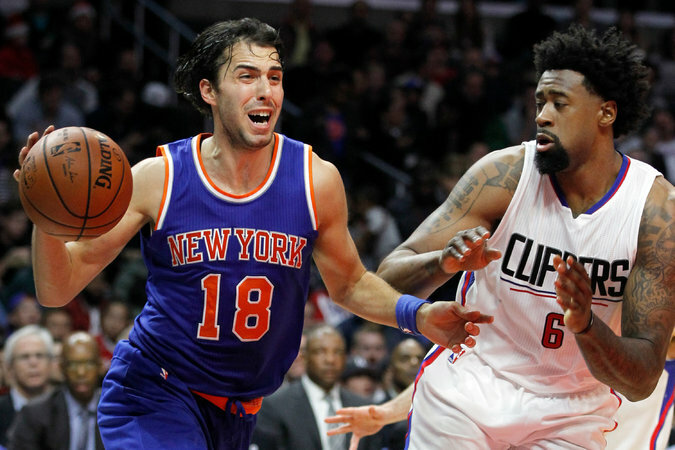 Sasha Vujacic, left in March 2016, will become an unrestricted free agent next month. The Knicks also have 11 players under contract, although the deals for Maurice Ndour, Chasson Randle and Marshall Plumlee are not fully guaranteed. While Jackson had remained open to Rose’s return, even after drafting guard Frank Ntilikina with the eighth pick in last week’s N.B.A. draft and Rose professing a desire to return, remaining with the Knicks could prove complicated. Rose underwent knee surgery, again, in April, and it remains to be seen how he views his value and whether he would accept a modest short-term deal. The Knicks might have about $20 million in cap space when free agency begins. They could spend some on bringing back Holiday, the 6-foot 6-inch, 28-year-old swingman who was a nice find last season.